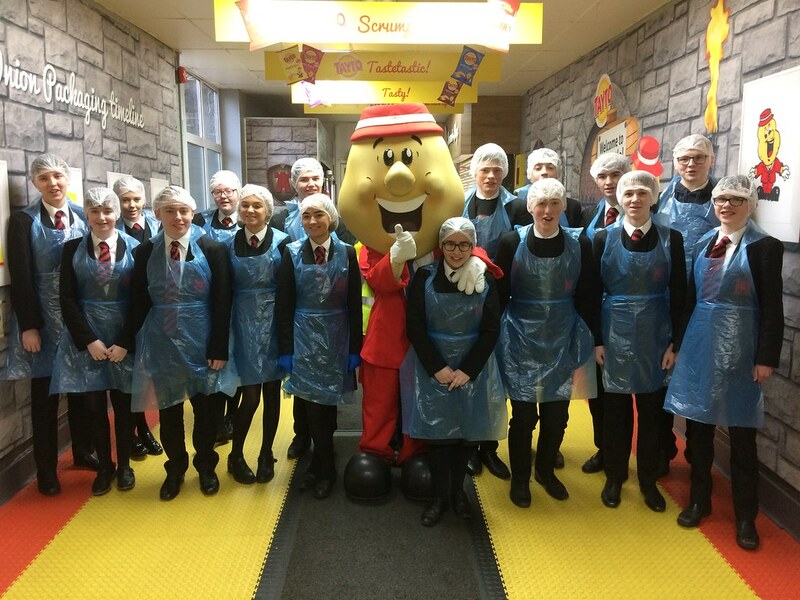 On arrival we were welcomed by the staff and Mr Tayto! 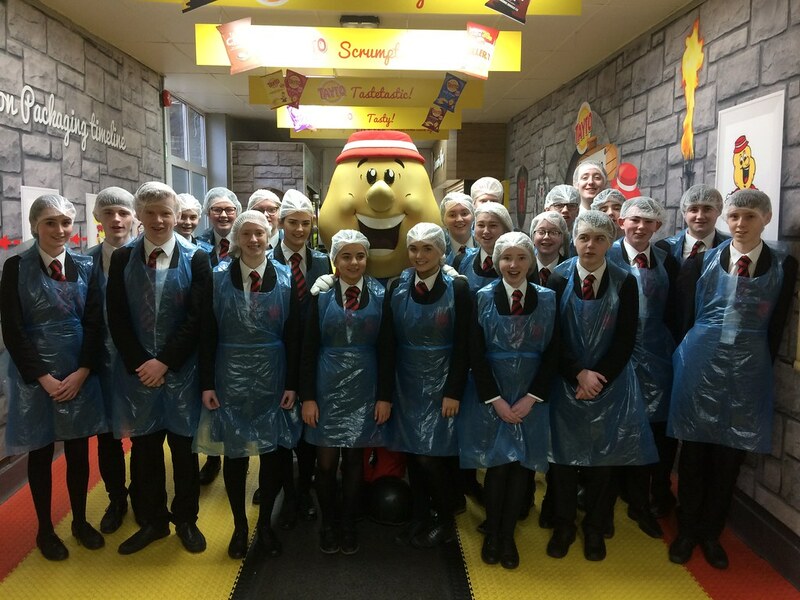 We were given a safety briefing and provided with very glamorous aprons and hairnets in order to adhere to strict health & safety regulations. 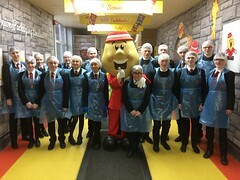 We were divided into three groups and escorted around the factory by a very informative tour guides who provided useful and interesting facts about the production process of Tayto’s crisps, corn snacks and pellet fries product ranges. We were also able to see the impact that technology has on their production process. Students had the opportunity to ask further questions and of course, sample products which were very tasty! Throughout the visit, students gained a valuable insight into all aspects of the business such as where they source their raw materials from both near – local farmers and far away – Spain, Argentina and Denmark. 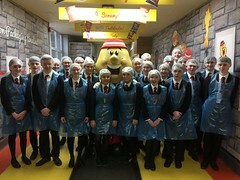 Pupils also learnt about the vast product range, quality assurance, stock control, health & safety, technology in production, marketing, new product development and recent takeovers of popcorn manufacturers. At the end of the visit, the students all received packets of crisps to take home. The visit was very enjoyable and informative for students. The visit really brings to life the topics that are studies in theory in the classroom.